Doritos has partnered with the It Gets Better Project for a special project: rainbow colored chips to hungry consumers in exchange for a donation to the organization through website www.ItGetsBetter.org/DoritosRainbows. All proceeds go to It Gets Better, and Doritos' parent company Frito-Lay covers the shipping costs. 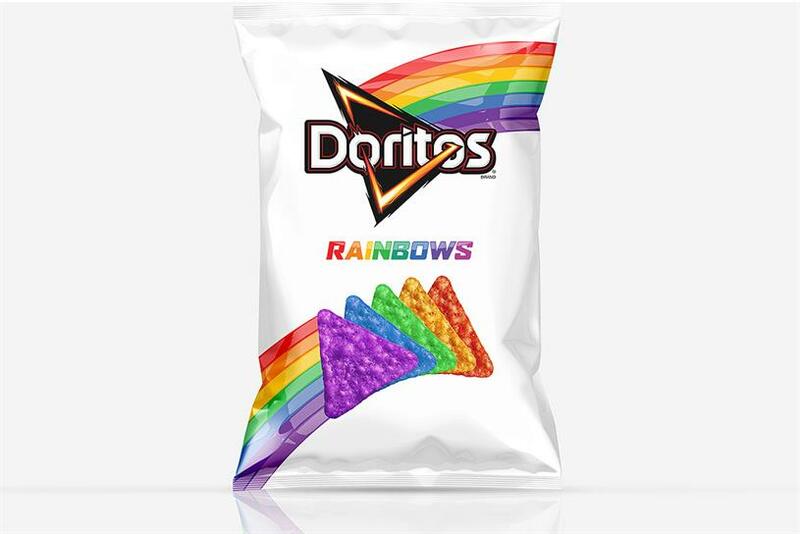 Frito-Lay's chief marketing officer Ram Krishnan said the chips "show our commitment toward equal rights for the LGBT community and celebrate humanity without exception." What do the LGBT flag inspired chips taste like? Equality we would imagine— and the snack maker's signature Cool Ranch flavor. The Plano, Texas company is also putting Doritos in the spotlight at the Dallas Pride Parade on September 20 as a sponsor. Reactions on Twitter have been ecstatic with salivating fans instantly using the #BOLDANDBETTER hashtag. Will 4chan still be seen as an innovator under new owner?